﻿ Reverie Santorini	(Reverie Santorini) Santorini. JIMAT di Agoda.com! Ada soalan mengenai Reverie Santorini	(Reverie Santorini)? Terletak di Fira, Reverie Santorini	merupakan tempat menarik untuk memulakan pengalaman di Santorini dan kawasan sekitarnya. Terletak hanya 0.7 Km dari pusat bandar, para tetamu berada di lokasi sesuai untuk menikmati tarikan dan aktiviti di sekitar bandar. Bagi anda yang ingin pergi agak jauh, Aegean Designs, Muzium Megaron Gyzi, Muzium Arkeologi merupakan beberapa daya tarikan untuk pelawat. Di Reverie Santorini	, perkhidmatan yang cemerlang dan kemudahan yang unggul menjadikan penginapan anda tidak dapat dilupakan. Hotel ini menawarkan pelbagai kemudahan di lokasi untuk memuaskan hati tetamu termasuk yang arif. Alami bilik dengan kemudahan berkualiti tinggi sepanjang anda menginap di sini. Sebahagian bilik menyediakan televisyen skrin rata, internet wayarles, internet wayarles (percuma), tab mandi pusaran air, bilik larangan merokok untuk memudahkan tetamu berehat dan kembali bertenaga. Hotel ini menawarkan banyak peluang rekreasi yang unik seperti bot, denai kembara, kolam renang terbuka, menyelam, rumah urut. Temui gabungan yang menarik antara perkhidmatan profesional dan pelbagai kemudahan yang ada di Reverie Santorini	. This hotel was good value for Santorini. It’s right on the caldera but the room didn’t have a caldera view. This made it almost twice as inexpensive which is good for bargain seekers. You will constantly see the caldera views in Santorini anyway. The only negative thing is the bed sheets felt damp and there’s a slightly odd smell in the studio we stayed in, but it was tolerable. The staff were all very friendly and helped us with a lot of our needs and activities. Loved the service right from the moment of booking ! 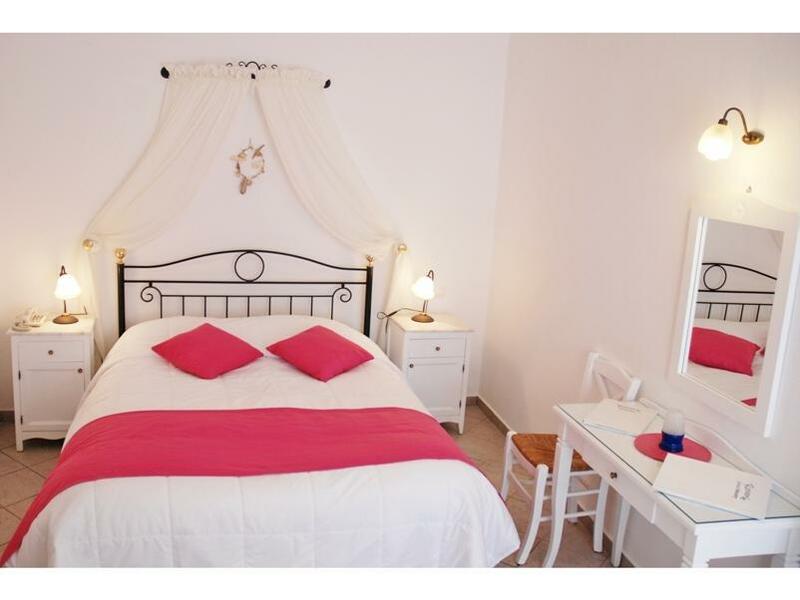 They were prompt with their replies to my queries via email and were very helpful in planning our time in Santorini. Loved that it was right smack in the center of where all the good food was in Firostefani and yet still quiet when it needed to be. The floor was a little sticky if you prefer walking barefoot around the room but it wasn't dirty. Thank you for the wonderful experience and we look forward to booking with you guys again soon ! Very nice hotel with nice and helpful staff, the room is also good and clean. Hope to come back soon. Nice and quiet hotel, clean and comfortable too. Staff is good and responsive. Location-wise, it's away from the mad tourist crowds at Oia and within 10 mins walk to Fira town. This hotel is right next to the road and about 50m to the bus stop, so it's very convenient. There's also a minimart next to it. Only thing to note is that whilst you wont have the best views on the island but there's a roof top sitting area, but it may get really hot during sunny days because there's no cover or shade. Reception very nice and their breakfast very good. Staffs of the hotel are extremely friendly which makes me feel like home. The staffs were great! Very helpful and responsive at all times. We booked our tours, atv rental and airport transfer from them. No regrets at all and the prices were in fact better than online ! Location of the hotel is very good! Walking distance to A lot of places except that of cos the steep slopes and what nots (expected). Facilities of the hotel did good to us. We stayed for 7 nights so the kitchenette was a plus point for us. Equipped with pots and pans, plates and cutleries. Enjoyed every bit of our stay at Reverie, will definitely stay there again if we were to come back to Santorini! Good service and comfortable accommodations. But we can't connect wifi in the room even though we open the window, we have to go outside to connect wifi, that's really slow, or use my own 3G internet. This place had everything we needed, good location, clean, helpful staff, rooftop terrace is the best place for sunset. Lovely family run place. Upon arrival greeted by very friendly and helpful lady, briefed us about whole island. Hotel was really clean looked new. Location is good, near a bus stop, not as crowded as fira. Book their airport shuttle which is much cheaper than taxi, if not keen on taking the bus. Staff were amazingly friendly and helpful. Room was a very good size and very clean. Location was perfect. From the minute we walked into reception with our 7 month old son they were so welcoming and lovely. Immediately set up a cot for him. Were very informative on the area. Even did our washing up for us after we got back from our boat trip. I can't recommend this place highly enough. I travel a lot a experience many different types of resorts, hotels, apartments and this one definitely ranks up there amongst the best, the friendliness of the people that run it certainly makes the difference. 5 stars!!! Our stay at Reverie was perfect. The staff go out of their way to make you feel at home and give you all the information that you could possibly need whilst you stay there. Great location. Great view from the roof terrace. Recommended. Reverie Hotel was absolutely incredible. From the moment we arrived, we were welcomed and made to feel at home. We were given a traditional Santorini drink while our beautiful host talked us through what to see and do while on this magnificent island. Our room was spacious, clean with a small kitchen for us to cook if we wanted to. It was about a two minute walk to the caldera, but also had magical views of the sea. It was only a ten minute walk to the centre of Fira and a quick minute walk to a small mini market that had everything we needed. We spent four nights but could have spent a lot more in this fantastic hotel. Breakfast was cheap but had enough food to feed a small army. 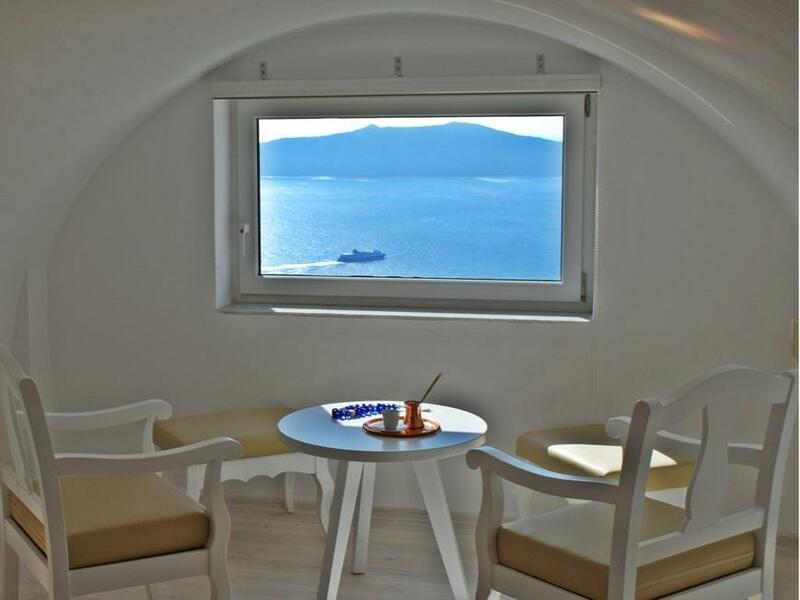 The family run hotel was definitely one of the biggest factors for making our stay in Santorini so memorable. Would highly recommend to anyone wanting a truly great experience on this unique island. great hosts , location, view. Great experience. The room is lovely and clean.